Our most popular Soft Scent wash for our biggest fans and frequent users! 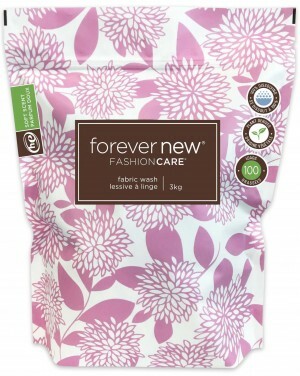 Forever New's self-sealing pouch with measuring scoop yeilds 100 HE loads, or 375 hand washes at pennies per wash.
Our pure citric base breaks down dirt instead of fibers and rinses so clean, the clothes you love last longer. Our gentle formula uses plant derived biodegradable ingredients and is formulated without parabens, phthalates or phosphates.